, The Front Runner from a technical and acting standpoint is a perfectly fine movie. 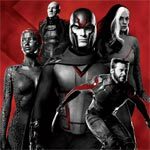 But the issue comes from the fact it’s not all that important, or at least as important as the filmmakers want it to be, with the ideas presented. Here we are again, the time of year for family quality time, reassessing priorities and racking up credit card debt to take advantage of some sweet Brown Thursday and Black Friday sales. Here are some gift ideas for some nice sets released over the last year or so. I would like to thank the studios for providing these for inclusion in this guide. Please consider clicking through the Amazon links to support this site. 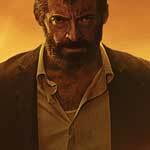 Logan is one hell of a film, a modern day western with tortured soul of a character who happens to have claws. Hugh Jackman once again gives it his all and thankfully this time around, the writing was far superior over the previous solo films. Oklahoma is a nice addition to Shout’s new “Broadway” line and being, from what I could tell, being out-of-print on DVD, it’s nice to see this rendition of the classic play be put onto Blu-ray. Fox Home Entertainment has announced the date and released artwork for the action/drama/modern-western, Logan starring High Jackman and Patrick Wilson and directed by James Mangold. Click on the link below or image to the left to check out the features and artwork. Pan had some of the right ingredients between a good and capable director and respectable cast but between some odd choices with the soundtrack, mainly a rendition of “Smells Like Teen Spirit”, and an utterly joyless film which is surprising for a movie about Peter Pan, it makes for a soulless and forgettable flick. 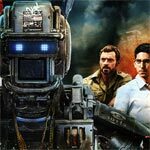 Neil Blomkamp’s Chappie isn’t quite the homerun some expected it to be with a thin story and even thinner characters but like District 9, it impresses in the technical department with excellent motion capturing and all around solid visual effects. The Blu-ray itself has a nice selection of bonus material while the audio/video transfers are both demo worthy. Prisoners is certainly one of the better movies to come out of 2013, though I do think it was a tad overrated given the hype. 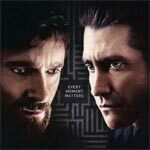 However, the performances from Hugh Jackman and Jake Gyllenhaal are brilliant and the atmosphere brought by Villeneuve and DP Deakins is absolutely absorbing. 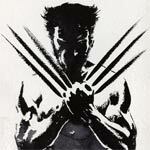 The Wolverine is a marketed improvement over X-Men Origins: Wolverine in some places, but I felt the story could’ve been tightened up as it dragged in many scenes and took a long and winding path to the same place without muddy character alliances, who hates who and who wants who dead; it doesn’t make much sense and definitely didn’t help the story as a whole. 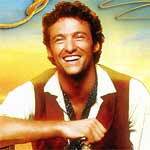 Even so, Hugh Jackman delivers a, prepare for critic’s cliché, tour-de-force performance. Kate & Leopold is a fun romantic comedy where one should ignore the inconsistencies that often come with time travel. Even so, the chemistry between Meg Ryan and Hugh Jackman is good enough to make this a memorable and worthwhile film to see. The Blu-ray offers up some OK features, especially Mangold’s commentary, the video isn’t great but acceptable and the audio is good. 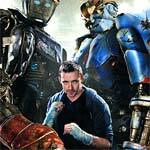 Real Steel is a fun movie that the whole family can enjoy. The mixture of practical and visual effects is fantastic and the story has a great heart behind it. Hugh Jackman once again delivers a fine performance and the young Dakota Goyo isn’t nearly as obnoxious as other child actors I’ve had to endure in movies over the years. No, this isn’t a great movie but it’s an amiable one with a satisfying finale.